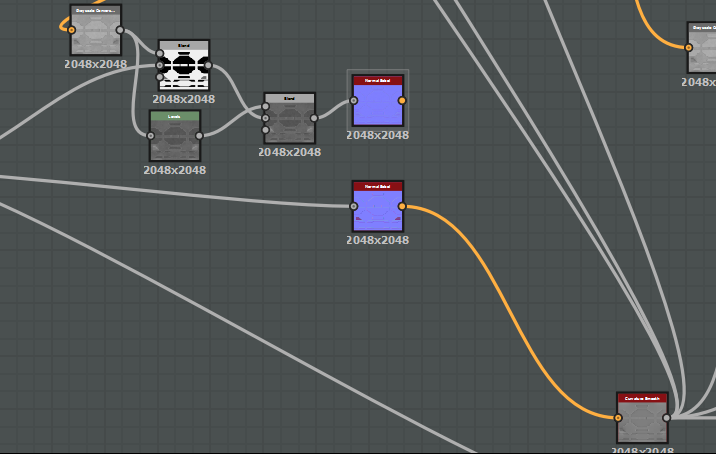 Substance Designer - Technical Support - Why won't it let me connect the normal to the curvature smooth? I'm trying to connect this normal sobel to my curvature smooth, by replacing with a normal sobel that I already have there. The only difference in the two would honestly be the grayscale conversion node. Is there a way to connect these without grayscale conversion? Thanks for the help guys.